"TWO PIECE BIKINI TOP EDISON HIP FROM TEENS This two piece bikini top halterneck included two removable molded cup, without underwire. Hip model is available from XXS to L. Details like zipper on the middle of the bra together with stripes, give a young and colorful look ! We like the arm float form which highlights the current trend of Teens's mood. Match this top with Edison Mix bottom. You'll be at the top of the trend ! The model measure 176 cm and wear size 36." "-Bikini top halterneck -Zipper fore the top -Banana Moon logo"
"TWO PIECE BIKINI BOTTOM EDISON MIX FROM TEENS This bikini bottom got a middle coverage for a completely casual look, available from XXS to L. Strings details on sides of this bikini evoke a young look always up to date. Ends to strings that allow tighten your bottom as you want, we can see stars and triangles pendants which give a flawless finish to the bikini bottom. 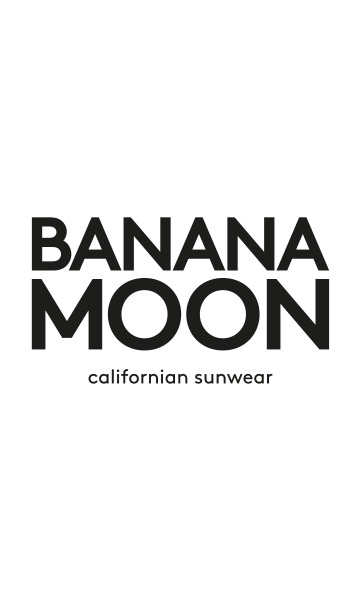 Banana Moon logo is in front of the bottom. Match Edison Mix bottom with Edison Hip top is for sure the best set Teens of the season." "-Bikini bottom -Middle coverage -Details : pendants -Banana Moon logo"